Reversible hats are double layered, and fit a bit SMALLER that the regular size hat!! 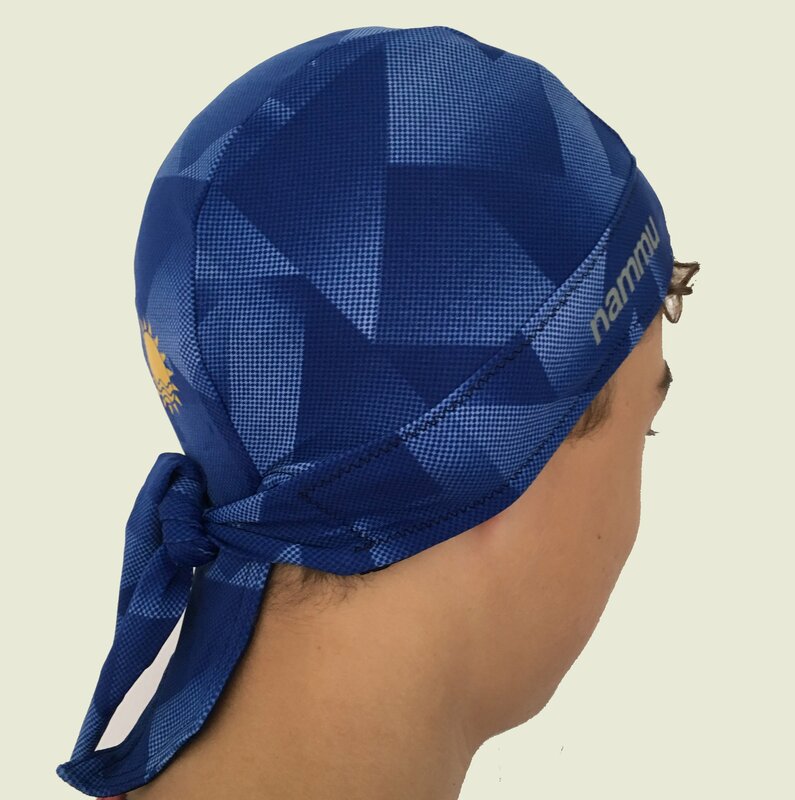 Nammu swim bandana hats are a stylish sun protective swim cap designed to protect the head from the sun while in and around water. Made of spandex, flexible and durable fabric. Dries quickly and is easy to wash. These hats are amazing! My 10 year old daughter lost all of her hair suddenly this year due to alopecia areata. We are so grateful we found these hats! She wears them everywhere and feels completely confident in them. She has worn them in the pool, on huge rollercoasters at Six Flags, in the heat at summer camp, and has never had a problem with them falling off or feeling loose 🙂 She loves these hats so much we now have one in every color so she can match her hat with her outfit! Thank you for making such an amazing product!